If you need a root canal near Tijuana, Mexico, then you have come to the right place! At Mexico Dental Implants, we use state-of-the-art technology, including digital imaging and ultrasonic instruments, which streamlines the treatment process and improves patient care. Our endodontist has received specialized training preparing him to perform a variety of procedures — including root canal therapy. With our advanced technology and personalized care, getting a root canal doesn’t have to be a painful experience. 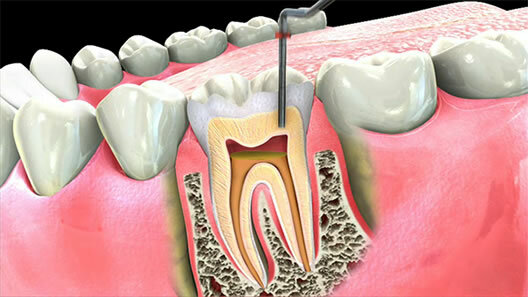 In fact, getting a root canal treatment is no more uncomfortable than a simple filling. 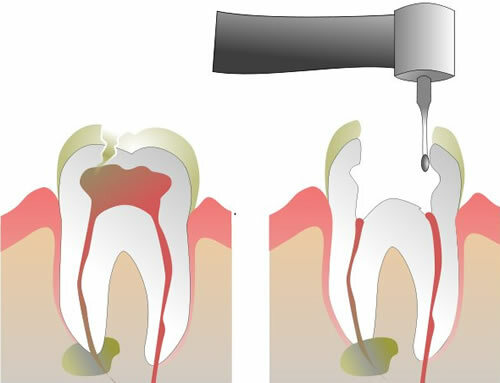 Patients need a root canal when the pulp-filled cavity at the root of the tooth becomes infected,and the infection must be treated by removing the decaying pulp. A traumatic injury, such as a chipped or broken tooth, may also necessitate a root canal. Our affordable root canal specialists help put patients at ease with their gentle manner and streamlined procedures. And since our endodontist performs many specialized procedures each week, you can rest assured that you are receiving the best possible care from an experienced team that is up to date on the latest treatment procedures. During root canal therapy, our dentist will first take digital X-rays to evaluate the tooth damage and use these X-rays as a guide during treatment. Next, our dentist will drill a small hole through the tooth into the area where the infected pulp is located. Our dentist will then remove the diseased pulp, clean the canal, and seal the tooth to reduce the risk for future decay. In some cases, this will be a two-part procedure because we will need to let the infection first clear up before we can seal the tooth. During your initial consultation, our dentist will advise you of the expected treatment timeline. While some discomfort is to be expected following a root canal, in general, this sensitivity can be managed with anti-inflammatory medication like ibuprofen. Our team can also provide additional pain management assistance should that be required. 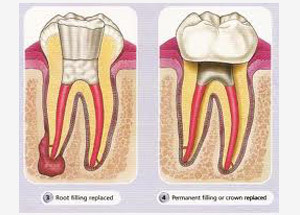 We will cap the tooth with a crown that is specially milled to blend seamlessly with your nearby teeth in appearance. Only you will know that you had a root canal! Patients choose Mexico Dental Implants because of our reputation for excellence in root canal therapy. Our affordable root canal in Tijuana Mexico treatments start at $250, which is a significant savings over the cost of root canal treatments in the United States. If you need a root canal, our Tijuana root canal services may be the right fit for your treatment needs. Our endodontist offers the highest quality treatment at a fraction of the typical cost for treatments in the United States. We’re confident that you won’t find this combination of quality service and affordable care anywhere else. To learn more about root canal treatment in Tijuana, Mexico, contact the Mexico Dental Implants today at (619) 730-0542.